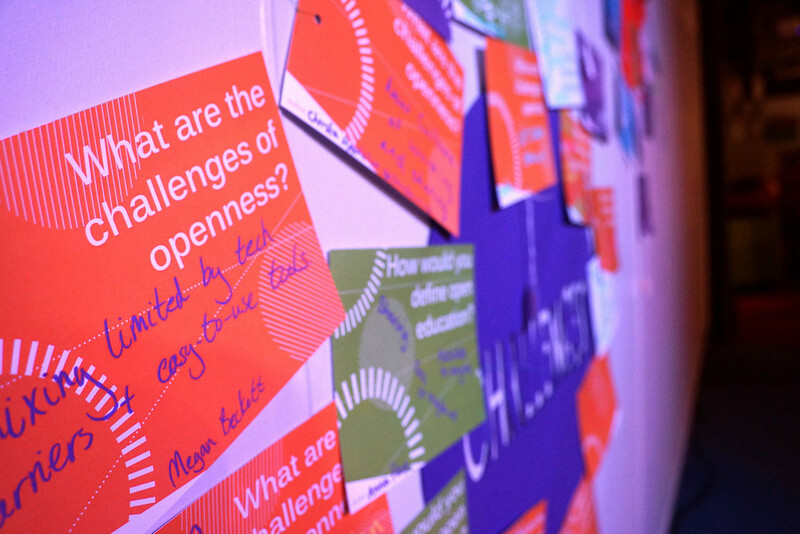 Inspired by the Open Educational Resources 2014 (OER14) conference. OER 14 wanted to encourage and support those who otherwise would not have been able to attend the conference. This year we made available an inclusivity fund through which we were able to select 5 people. 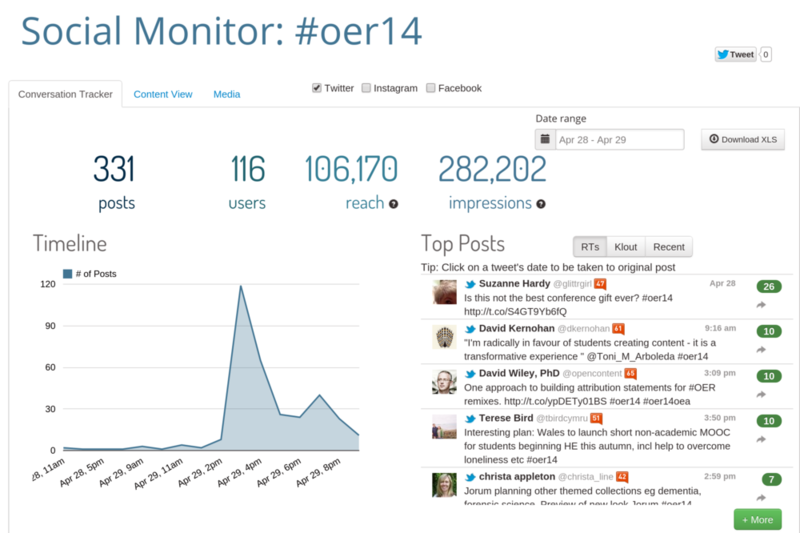 In return for access to the fund we asked them to write a short blog post for the OER14 website. We are grateful to Yimei Zhu for starting us off with those blog posts. Thanks to the OER14 Inclusivity fund, I attended Open Educational Resources 2014 conference 28-29 April 2014 in Newcastle. My own PhD research is about open science and I’ve participated in an OER project to embed new technology in teaching which I got the funding from the HEA. However, prior to attending the conference, I was largely unaware of the details of OER. This conference has broadened my view about open science. In my research, I explored open science through open access publishing, sharing research data and posting ongoing research on social media. Now I appreciate how open educational resources are important elements to support open science. One inspiring talk by Ming Nie was about a project called Open Northampton (see http://www.medev.ac.uk/oer14/43/view/). The project team collected teaching and learning materials from Northampton University’s six schools and stored in open repositories. These materials included lecture slides, video clips, assessment activities and so on. One of the main open repositories they used is JORUM (http://www.jorum.ac.uk/ ) which is an open repository to store and share UK Higher Education teaching materials. I first heard of JORUM in March 2013 in a HEA workshop on open educational resources where I gave a talk about open access data (See http://www.heacademy.ac.uk/events/detail/2013/22_March_CLL_Social_Sciences_Manchester). I remember that I searched for teaching materials in my field and found all the files were uploaded by only one user. Thus, it is important to have more people learn about it and share their work to build up a community to keep it running. Of course there will be issues and concerns. For example, if a lecturer used contents from the internet in her slides, could she share the lecture slides without violating the copyright of those contents? Academics will need proper training to guide them how to share educational materials in JORUM. It will be great if other universities can implement this kind of projects to provide necessary training and foster a sharing culture of educational resources. Another inspiring talk was by Terese Bird and Sara Frank Bristow about Wikipedia articles (See http://www.medev.ac.uk/oer14/82/view/). They conducted a case study to explore why people chose to contribute or not contribute to Wikipedia articles about OER. They discovered that most Wikipedia editors had personal interest and felt a sense of duty to inform the public. My own study found that 16% of UK academics had contributed to public wikis while 77% had read public wikis in their research work. How to encourage those observers to become peer-reviewers of Wikipedia? Pioneer project WIKISOO offered online School of Open classes teaching OER practitioners to contribute to Wikipedia. I also received a booklet called ‘Case studies: how universities are teaching with Wikipedia’ (https://upload.wikimedia.org/wikipedia/commons/4/43/Wikipedia_Education_Program_Case_Studies_%28WMUK_version%29.pdf) which I found very interesting and may try to do something similar in my own teaching in the future. A big thank to Megan Quentin-Baxter who was so supportive with her email correspondence and always answering my many questions so quickly. Also, many thanks to all the organisers and committee members who made my experience so enjoyable and memorable! Yimei Zhu is a PhD student at University of Manchester researching scholarly communication and academic use of social media in relation to open science. She received MA in Sociology from University of Manchester in 2010. Yimei worked on projects looking at UK universities’ use of Chinese micro-blog Weibo to engage Chinese students. Her research interests include survey methods, social media, open access to publication and data, social capital, trust and online communities. She also teaches various Sociology and statistics courses to UG and PG students. Tony raises excellent points. It is true that computer scientists have been the power behind the really big MOOCs, the predominant features of which are recorded lectures and machine-marked assessments. This was how they could handle 100,000 students. For teaching artificial intelligence, this may have been an ok way to do it. But is it ok for other subjects, other purposes? In the UK, we have FutureLearn, which is strongly influenced by the BBC. 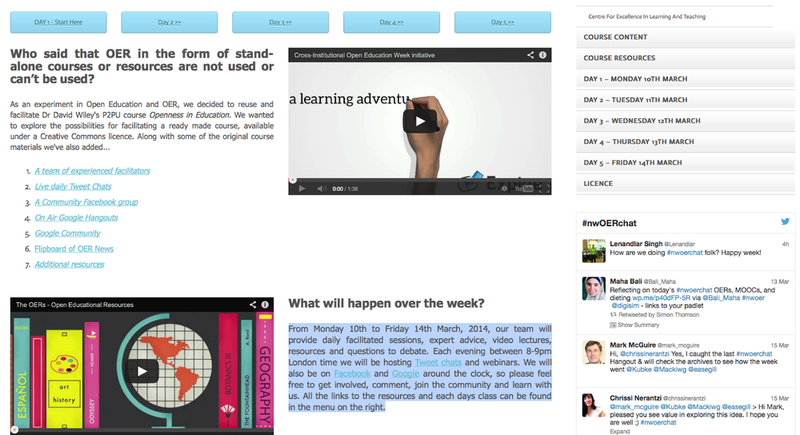 Overall, I would say the FutureLearn MOOCs lean more toward edutainment. Which approach is better for learning? Which approach is better for marketing purposes, one of the crystal-clear purposes of MOOCs? There are new platforms in Europe which bear watching: Iversity from Germany and a new platform coming out of the EMMA project. 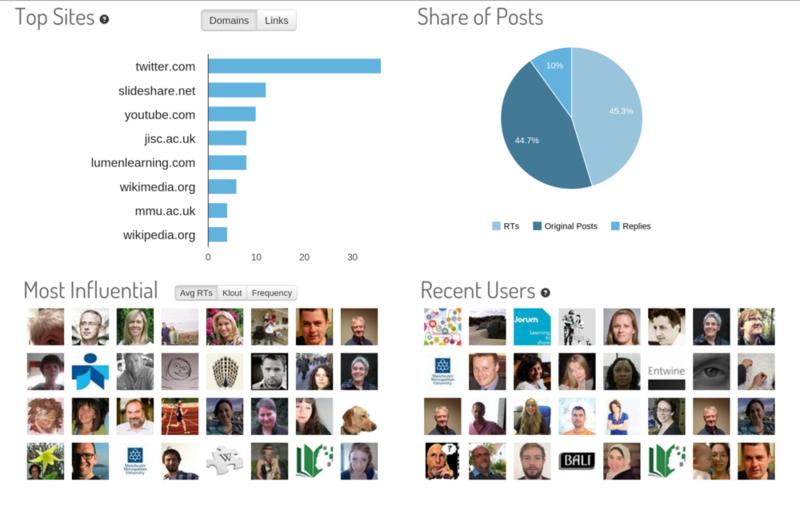 It will be interesting to see whether these new platforms present opportunity for new teaching and learning approaches. Are any of these approaches likely to benefit those beyond the reach of formal education, the original ideal of the open educational movement? To my eyes, the main ‘gap’ is technological — those beyond the reach of formal education are often also beyond the reach of the internet and computerised learning materials which require a certain amount of computer power. The lowest hanging fruit at the moment may be offered by mobile-friendly solutions such as FutureLearn and possibly iTunesU. As smartphones come down in price, it may be that the gap will narrow just enough for new communities to take advantage of MOOCs and other free (hopefully open) educational opportunities. It will then be incumbent upon those creating such materials to be offering good teaching which will be of real benefit. As I am privileged enough to be able to join both the upcoming OCWC Global Conference in Ljubljana and OER14 Conference in Newcastle (there’s still room for you at both of these conferences if you haven’t registered yet! ), I’m hoping to learn at the conferences some answers and ways forward on these issues. Students from both Newcastle, Wendy Carr, and Leeds Met, Tim Slatford, gave a considered and thought provoking opening speech and warm welcome to the conference, held this year at Newcastle Upon Tyne’s Centre For Life, on 28 and 29 April 2014. The keynote speech from Catherine Ngugi of OER Africa gave a different perspective to approaches to OER – must be of utility, fulfil a function, and couldn’t just be ‘something nice to do’. Open licenses are critical in places with little money for textbooks, where didactic practices are often the only way to pass on knowledge. Skills acquisition around content delivery, curriculum design and skills to guide students rather than replying on the lecture, yet they are the skills expected of faculty worldwide in an increasingly networked world. This proved an effective way to develop curriculum and delivery innovative content. Catherine went on to talk enthusiastically about what might be in it for them – often the question asked. If we share our things then other people will share and criticise, and we will learn from that. She asked ‘Does OER = open practice?’ I think not, but you may have your own opinion…. You can find abstracts, presentations and papers (where they have been uploaded) for each session, and a timetable/programme for the conference on the #oer14 website. Tweets from the morning precoffee/opening sessions have been storified. I bring you this blog live from the “London Book Fair”, one of the largest gatherings of publishers (of all persuasions) in the world. 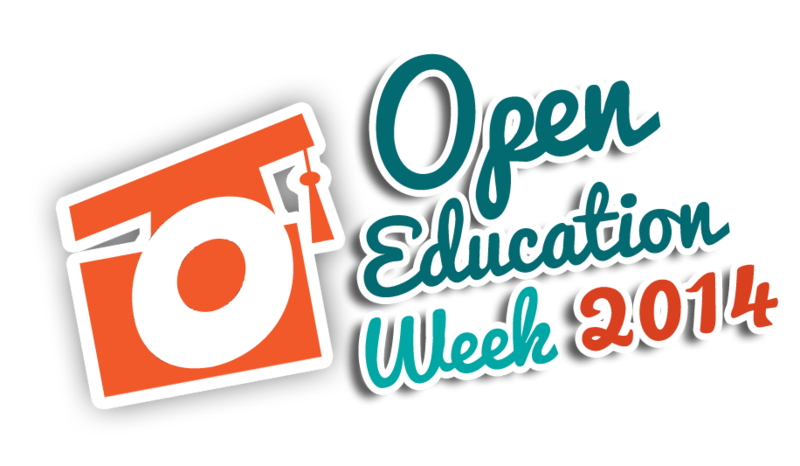 I’ve been invited to speak about open education – in particular MOOCs and OER, in a mixed panel drawing on publishers and consultants. I’m very interested to be invited, and I’m looking forward to presenting to an audience of publishers and other “traditional learning media” specialists. But a quick stroll around the enormous exhibition space suggests that something very interesting is happening. Many publishers are moving into digital publication and distribution – there’s a huge area devoted to technology and services around ebooks. And a number of larger publishers are moving directly (via their own ventures or acquisitions) into online learning. Publishers worked with a number of UKOER projects, most memorably in the amazing Newcastle-based “PublishOER” project, where staff connected to the old LTSN Medicine, Dentistry and Veterinary Medicine Centre worked with Elsevier. And it is notable that Torie Eva from Pearson will be on our closing panel at OER14. For all the talk of technology disrupting education, the effect of technology is far, far greater for publishers. So it is unsurprising that the audience at the book fair want to hear about open education, and are involved in education technology. It is a new marketplace – a chance to capitalise on new ways of delivering and using content. PublishOER investigated new ways of using and sharing paid-for content. This is clearly not “open education”, but it is a step in that direction. Publishers are also investing in platforms, tools and marketplaces – often in surprisingly content-agnostic ways. For example, Pearson (a content publisher, primarily) explicitly encourages the use of OER (alongside commercial resources) as a a component of “Project Blue Sky” – an open content search engine to compete with Solvonauts and Xpert. The publishing industry is reaching up to meet the Open Education movement, and it will be interesting to see how the interface plays out. There’s so much good stuff at OER14, but the way publishers engage with us -and how we engage with them- will be one of the key things I will be watching out for in Newcastle this April. 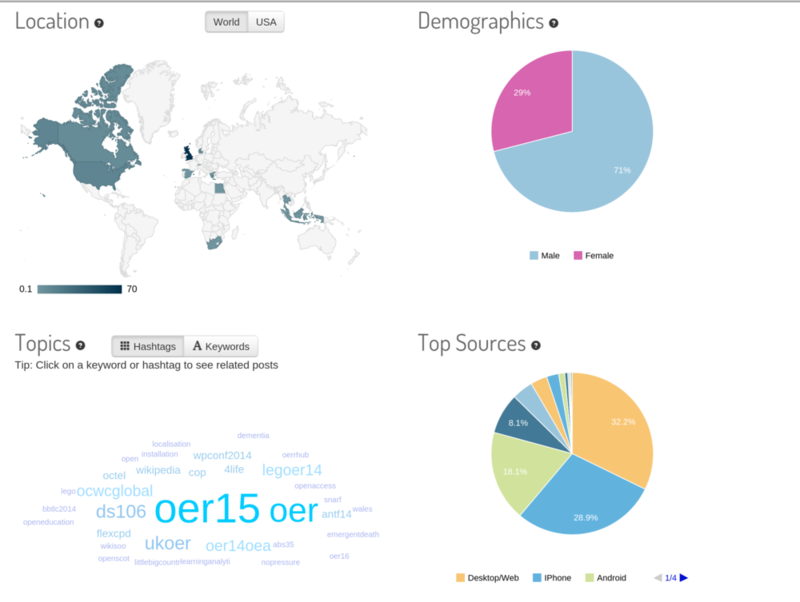 We have sent out the presenter information for OER14. Please let us know if there is anything else that you need, if you are bringing a presentation, workshop, poster or fringe. We are in the process of finalising print. 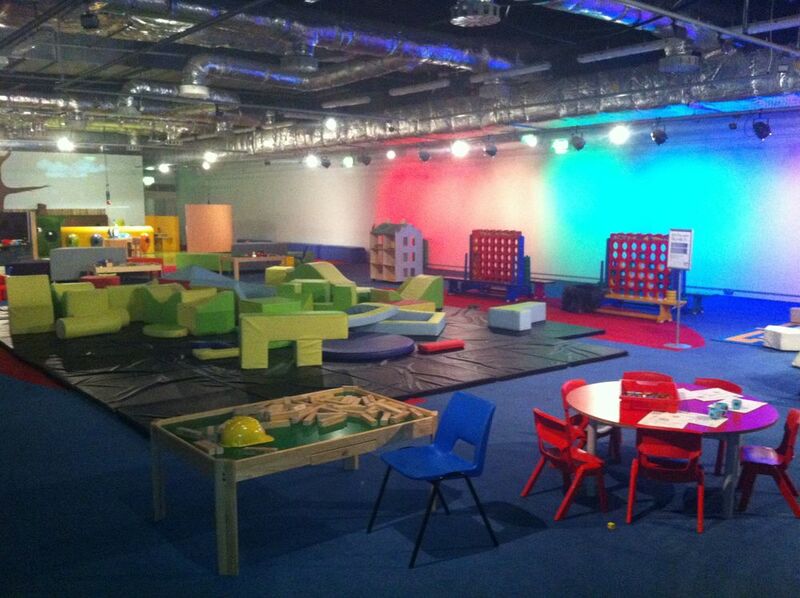 See the recently uploaded gallery of images of the venue for details of the equipment available in rooms. Presenters are asked to please use the equipment provided, so that we can record the presentations. Technical support staff (Toby, Joel and Sophie) have agreed to help with anything you may need. If you want to use your own equipment for your presentation please let us know, as we would like to video it (if it is not possible to use lecture capture). 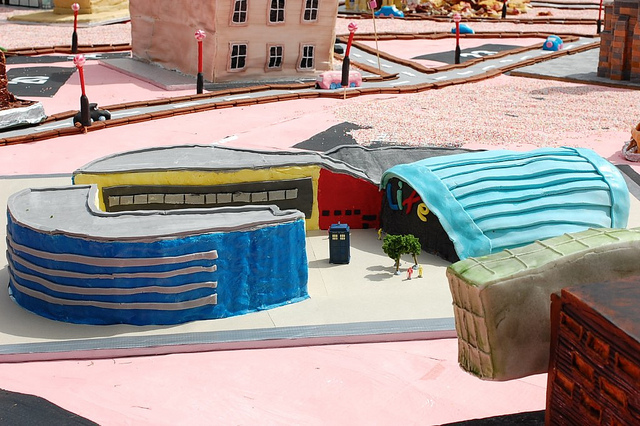 An artist, Ellie Livermore, will be in residence in the Mezzanine area. Unfortunately the toys showing in this pic are not part of our package! But there will be a lot taking place, including posters, fringe, exhibition and a drinks reception prior to the Gala dinner. Thanks to everyone who has agreed to speak, and all the authors who hit the deadline for papers for possible inclusion in JIME. These are being circulated to the Scientific/Programme Committee today with a view to starting to shortlist the best, according to the most promising theme. OER14 Conference is licensed under a Creative Commons Attribution 4.0 International License.